Thinking about growing hops? Looking for a way to harvest, process, or sell your hops? Learn about best varieties for our climate, harvesting techniques, and more with hops growing and brewing industry experts! 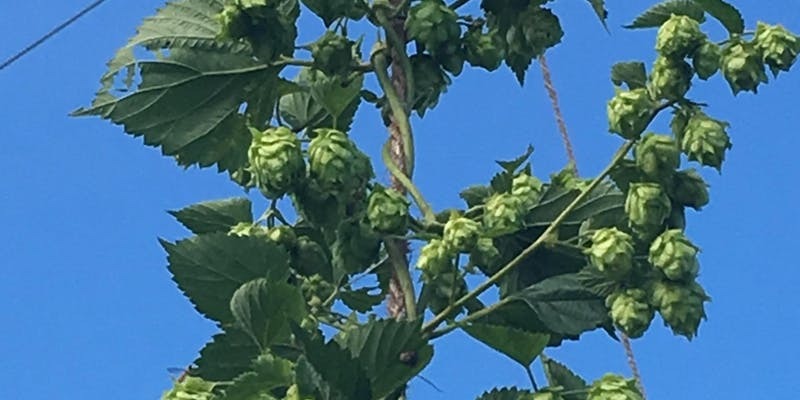 This hops workshop, the third in our 2018 hops growing series, will cover local research trials on the best varieties for the Delmarva region, the ins and outs of harvesting bines, and opportunities to process or sell your hops through the Chesapeake Hop Exchange. Please be prepared to travel or carpool during the field day. We will meet at the Wye Research Center at 1:00 p.m. and travel approximately 35 minutes to Sudlersville, where we will tour the Chesapeake Hop Exchange before finishing up at Patriot Acres Farm Brewery. The event will conclude with a tour and pizza and beer tasting! Must be 21 or older. Pizza and beer tasting is included in the ticket price and additional beer can be purchased onsite. First location: Wye Research Center, 301 Education Dr, Queenstown, MD 21658. $20 FHCASA members / $30 Non-Members.